Vans have updated their two classic silhouettes with flame prints: the Old Skool and Slip-On. 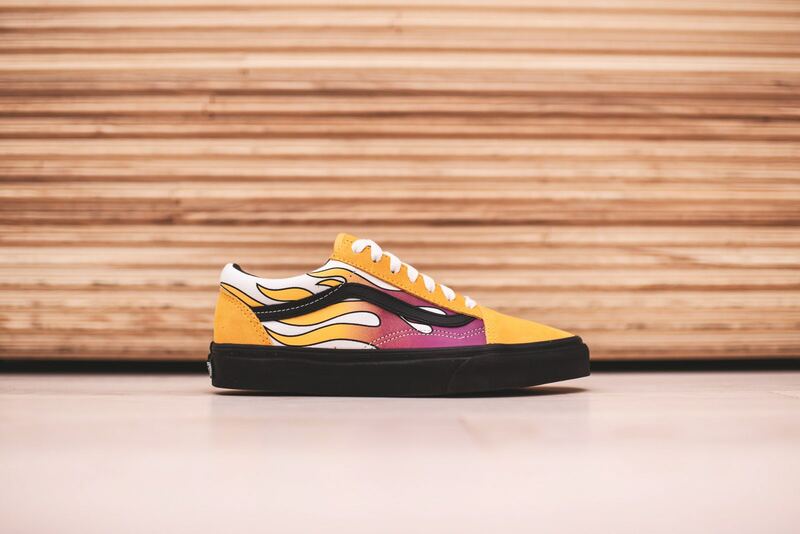 The banana/black Old Skool has a yellow canvas upper with printed two-tone flames finished with an oversized black rubber midsole while the pink slip-On gets elastic paneling for comfort, black upper and pink flame pattern on the heel. Both pairs are finished with iconic waffle rubber sole for traction..